Sling designed to accommodate both arms. 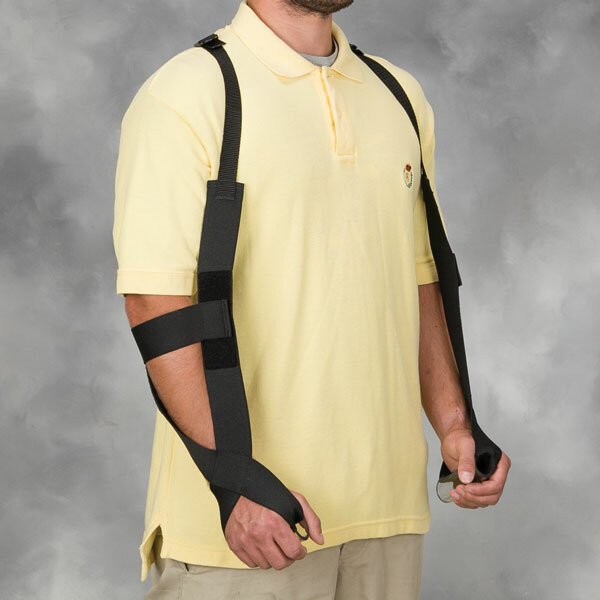 Designed to provide support to the arms of individuals with bilateral shoulder involvement. Decreases bilateral shoulder pain, reduces bilateral shoulder subluxation and facilitates thoracic extension. Effective for ALS, post polio syndrome, bilateral rotator cuff injuries, bilateral brachial plexus injuries and central cord syndrome. Design allows for many modifications and adaptations for optimal fit. 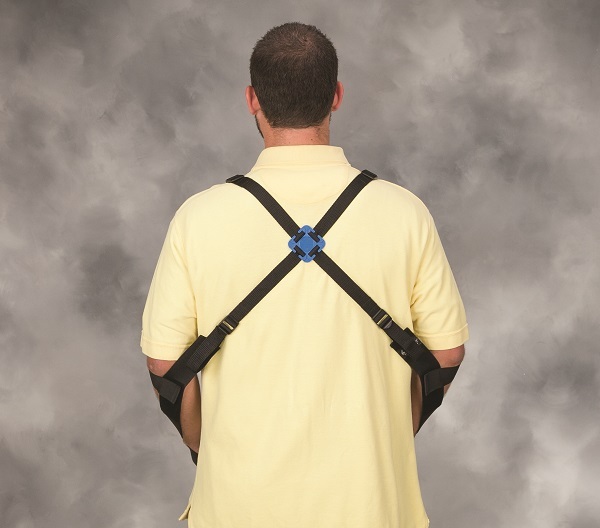 Includes slings for two arms, foam axillary pads for maximum wearing comfort and 4-Tab lock to secure the back's crossed straps to make donning easier. 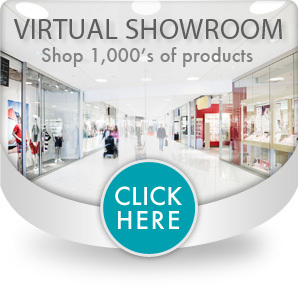 Sizing is based on height and weight.